Afghan President Hamid Karzai is in Washington this week for a meeting with President Obama that could determine the size of the U.S. troop presence in Afghanistan after 2014. The meeting comes one week after Pentagon leaders presented options for post-2014 troop levels ranging from 6,000 to 20,000. In the U.S., support for reducing the large, costly military presence is growing, as policymakers and the public question the wisdom of spending billions on the war. The coming months will see many opportunities to develop a budget that eliminates wasteful programs. Policymakers need to take advantage of this opportunity now, rather than kicking the can down the road. Each month of delay means billions added to the national debt, billions of taxpayer dollars wasted, and billions spent on a war that most Americans no longer support. On the eve of a visit by President Hamid Karzai of Afghanistan, the Obama administration said Tuesday that it was open to a so-called zero option that would involve leaving no American troops in Afghanistan after 2014, when the NATO combat mission there comes to an end. Whether U.S. troops ultimately stay or leave Afghanistan after 2014 may now come down to just one week of tough bargaining. Each nation has a great deal at stake. President Obama this week has a chance to explain to President Hamid Karzai, and hopefully to the American people, what will be our future role in Afghanistan…as the U.S. financial belt is being tightened, people want to know the financial cost, for how long and what will be accomplished. As the debate over the size and scope of the post-2014 coalition mission nears its end, some in the administration are pressing for a force that could be as small as 2,500, arguing that a light touch would be the most constructive way to cap the costly, unpopular war. If Mr. Obama cannot find a way to go to zero troops, he should approve only the minimum number needed, of mostly Special Operations commandos, to hunt down insurgents and serve as a deterrent against the Taliban retaking Kabul and Al Qaeda re-establishing a safe haven in Afghanistan. Those promoting the extension of current force levels in Afghanistan talk about justification for these troops remaining here, here and here, but elide over the costs. And $60-ish billion is real money, even by DOD or Federal budget standards. In Afghanistan this week, proceedings began in the long-stalled trial of some two dozen people accused of corruption leading to the collapse of the Kabul Bank in 2010. Meanwhile, the U.S. Congress confirmed Gen. Joseph Dunford as the new commander of U.S. forces in Afghanistan. Asked about the post-2014 U.S. presence in Afghanistan at his confirmation hearing, Gen. Dunford indicated his belief “that advise-and-assist role is an enduring role and would extend past December 2014,” and that a force of 1,000 would be insufficient for this mission. With so much attention on the Petraeus scandal and Benghazi investigation, the war in Afghanistan will likely continue to go unnoticed. Overlooking the war in Afghanistan is a mistake, and one that will cost U.S. taxpayers billions of dollars. President Barack Obama’s choice to be the top commander in Afghanistan said Thursday he envisions a U.S. presence in the country after American combat forces leave at the end of 2014, despite a national war-weariness reflected in Congress. A major step toward resolving the loss of hundreds of millions of dollars from Kabul Bank began last week with the trial of nearly two dozen people, including the bank’s former chairman and former chief executive, who are accused of being the main architects of a colossal fraud. France ended its combat mission in Afghanistan on Tuesday, withdrawing troops from a strategic province northeast of Kabul as part of a quickened departure from the war-torn country. I am not angry at the U.S. troops who fought in this war – but then, as now, I am angry and frustrated by the ignorance that pervades Washington, D.C., to continue, yet again, to put U.S. troops in harm’s way for absolutely nothing! Obama should use this one to reverse one of the most dysfunctional elements of U.S. foreign policy over the last decade: an infatuation with military solutions to problems that are fundamentally political. The real story is not the farce but the ongoing military tragedy of Afghanistan. 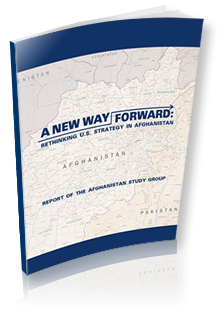 The United States still has 68,000 troops in Afghanistan, with plans for a sizable training force to remain well past the troop withdrawal deadline set for the end of 2014.